Circa 1880-1900, a lovely Edwardian hand made Tape lace or Battenburg lace bodice and skirt with a Paris label “Mme de Ludinart”. 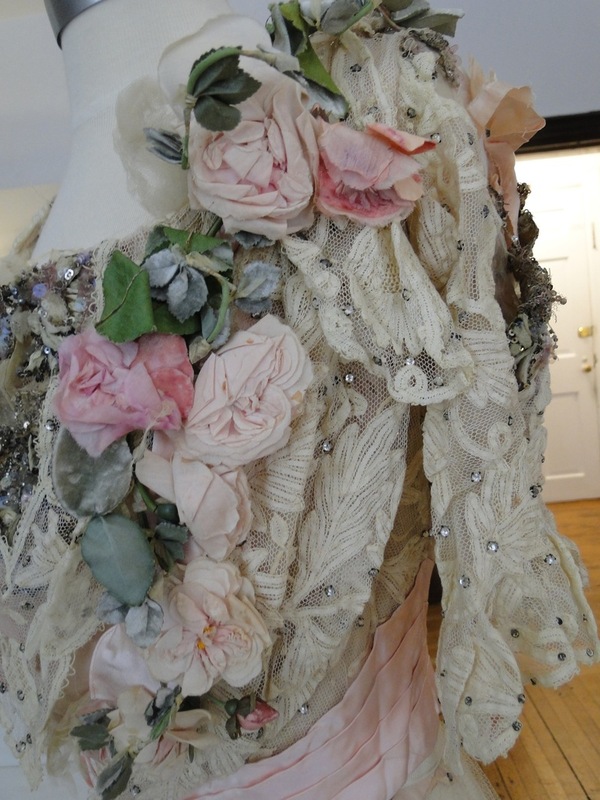 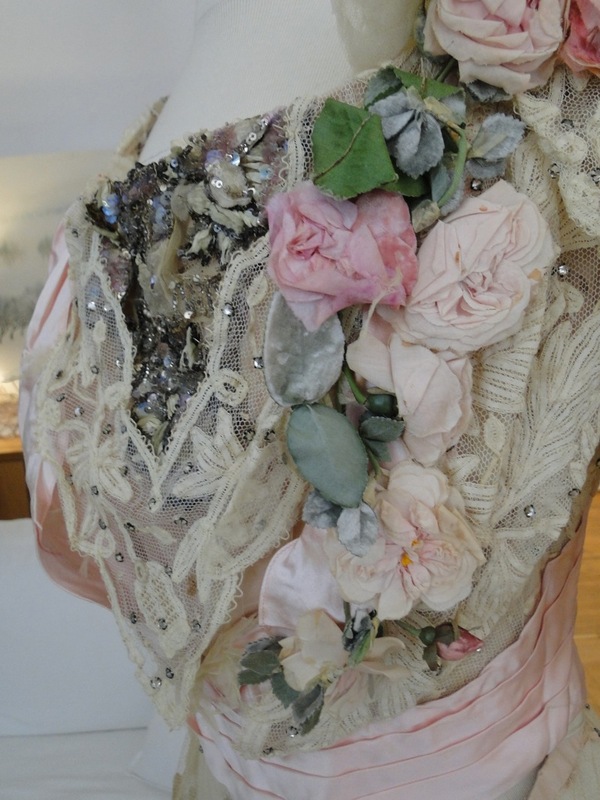 This ensemble came from a museum deaccession.A beautiful bodice with silk roses and velvet leaves,sequins,rhinestones and silk. The skirt has a trained back and has rhinestones . 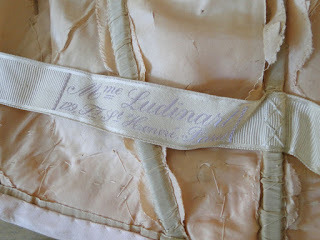 The inner lining is missing. The skirt measures apprx. 26-27” around waist… 44-45” down front and tapers to apprx. 59” at the back. 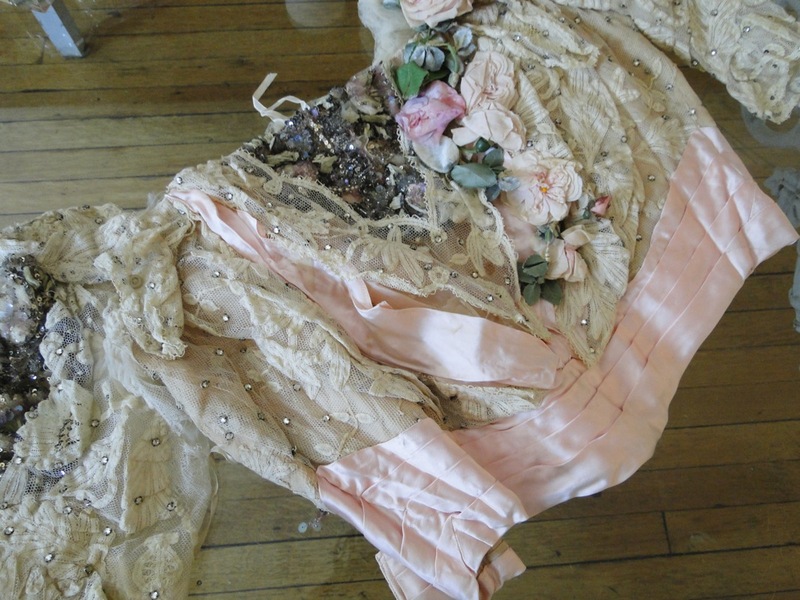 The skirt has some stains..basically this offering has never been laundered and was probably in museum’s coffers for a long time . 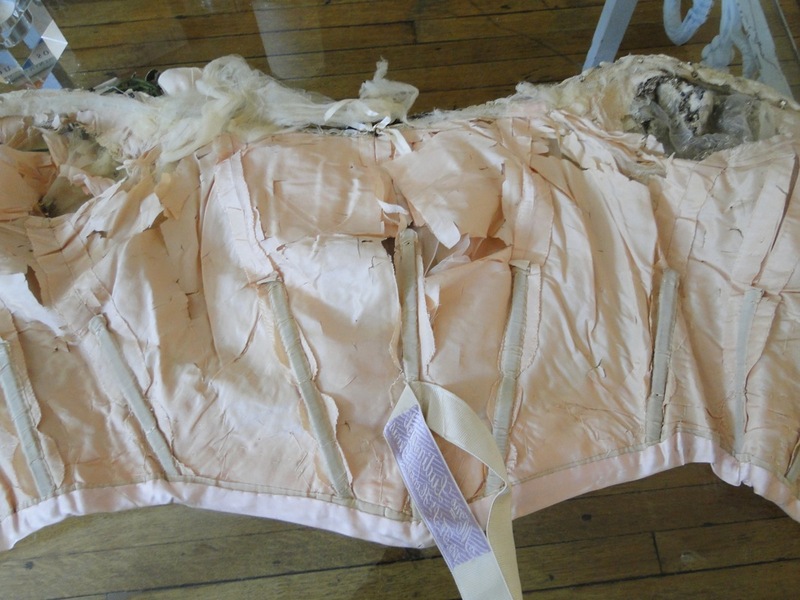 The skirt is in good condition. The bodice inner pink silk lining is shredded on the inside, pink satin ribbon on the outside is stong and good…lace is good,there is some inner organdy around neckline that needs to be removed...the sequin bit at the front needs to be replaced..as do the V shaped sequin parts on sleeves.. this part had been mounted on organdy… amazing really what went into this gown, so sequin areas need to be replaced, and some plain net under sleeves.. The lady must have been a luminous figure at the balls! 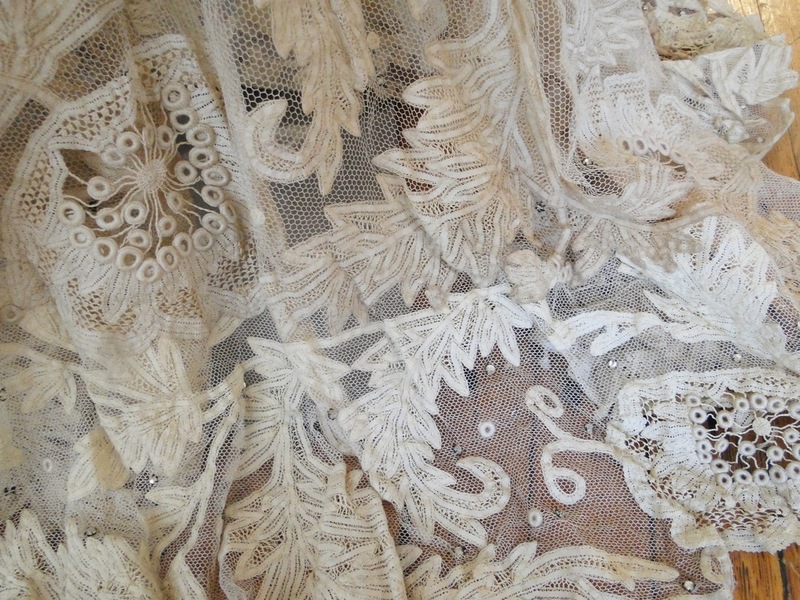 My thoughts on this gown are that the main parts of Tape lace are good and strong.. and that is the backbone of the ensemble. 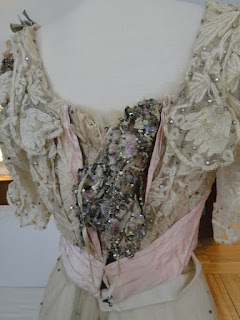 It needs work on the lining, sequins on the bodice and cleaned so stains come up. 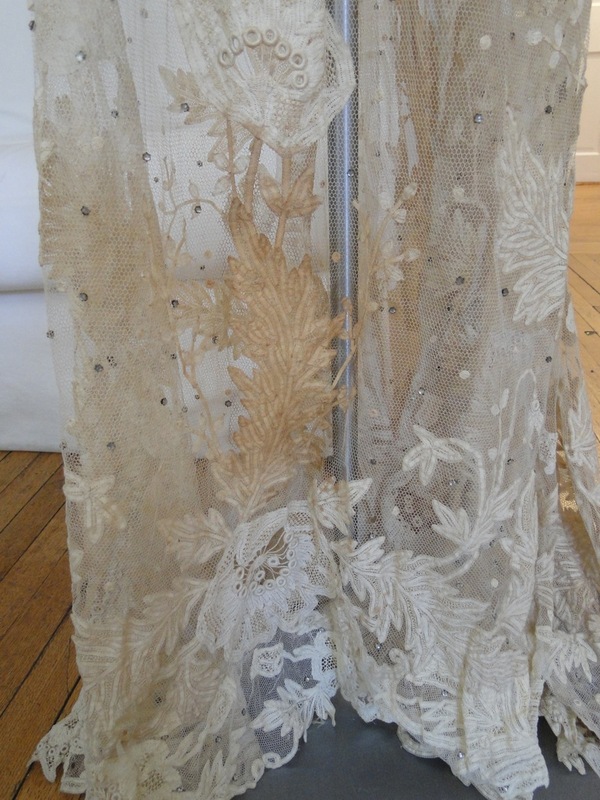 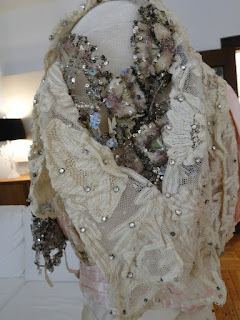 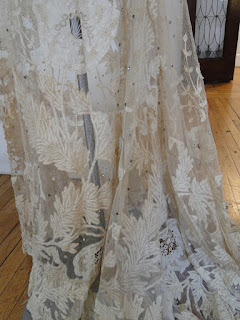 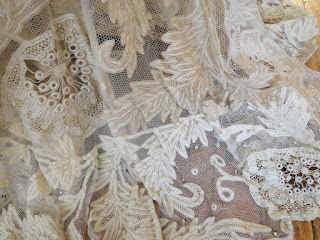 Lace is very good and strong… once this is repaired it would be quite lovely.So a PROJECT, WORK NEEDED. 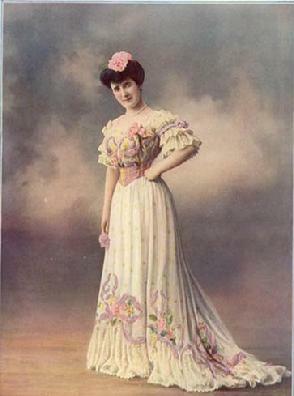 I actually think the dress is slightly later than the fashion plate above in it's current style. 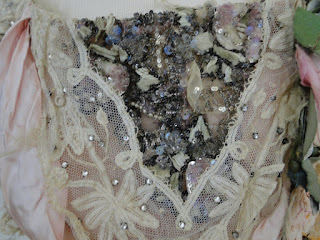 The spangles in the front and back in that V shape are popular toward the end of the Edwardian era going into the Teen's Era. 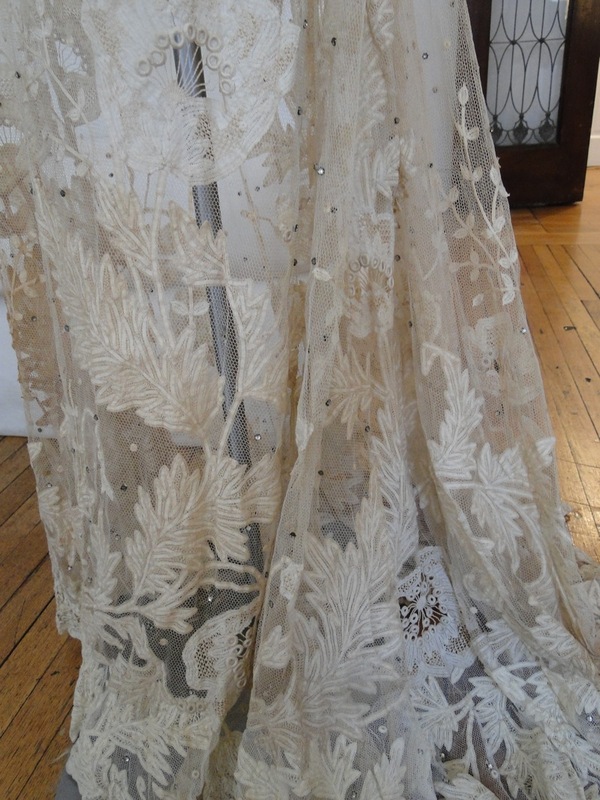 However, this particular dress also has that pigeon front meaning it's actually transitional.